Sparkles Day Nursery aims to provide a safe, caring, friendly environment that offers stimulating play to aid children’s individual development and early years education. 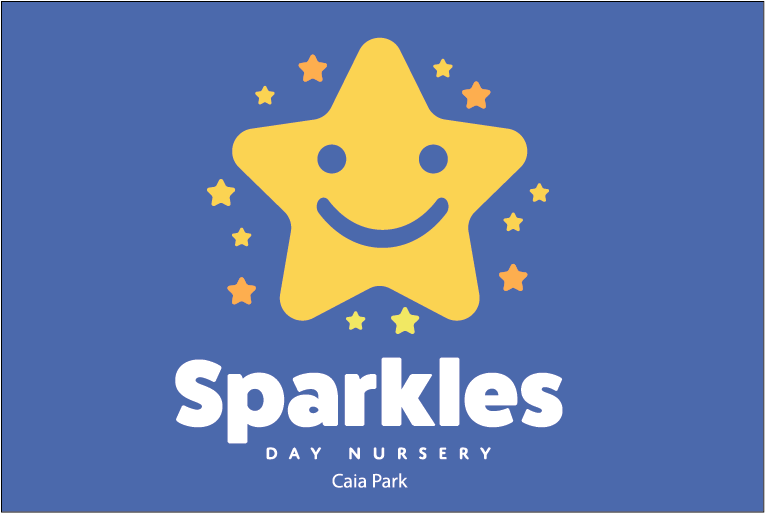 Sparkles Day Nursery is registered for up to 76 children between 2 months old and full-time school age. Sparkles also offer “a wrap around service” from some schools. Sparkles also offers Flying Start and Early Entitlement provision. Charges are based on per day, morning sessions (including lunch), afternoon sessions or weekly including discount. Absences are charged at the full rate. Before starting we recommend parents/carers visit the nursery with their children and meet the staff. Sparkles has an open door policy to all parents/carers and have a strong ethos of sharing all information with you. The language of the nursery is English, with due consideration given to spoken and written Welsh and Polish. Other hours may be available by arrangement. Healthy snacks are provided for the children mid-morning and mid-afternoon. A fresh homemade lunch is provided every day by our qualified staff. 2.20-2.35pm Snack Time for E.E. 3.15-3.30pm Story Time & Home Time E.E. Parents/carers must supply nappies and wipes to ensure that the staff have a plentiful supply for each child. Supplies should be clearly marked with the child’s name. Parents/carers of children with particular needs are welcome to discuss their appropriate care with the Manager or Deputy Manager to ensure that all the needs of the child are met. The nursery must be informed of the expected time of arrival and collection at the nursery. If any person other than you the parent/carer is collecting the child, the nursery Manager or Deputy Manager MUST be informed. In the event that we do not have any satisfactory notification, staff will not allow the child to leave the nursery. From A483 take A5156 (signposted Wrexham Industrial Estate /Nantwich) off roundabout at northern edge of town. At second roundabout (T junction) turn right along A534 into Wrexham. At second roundabout take second exit into Cefn Road. Take fourth turning right onto Churchill Drive. At roundabout take second exit onto Prince Charles Road.